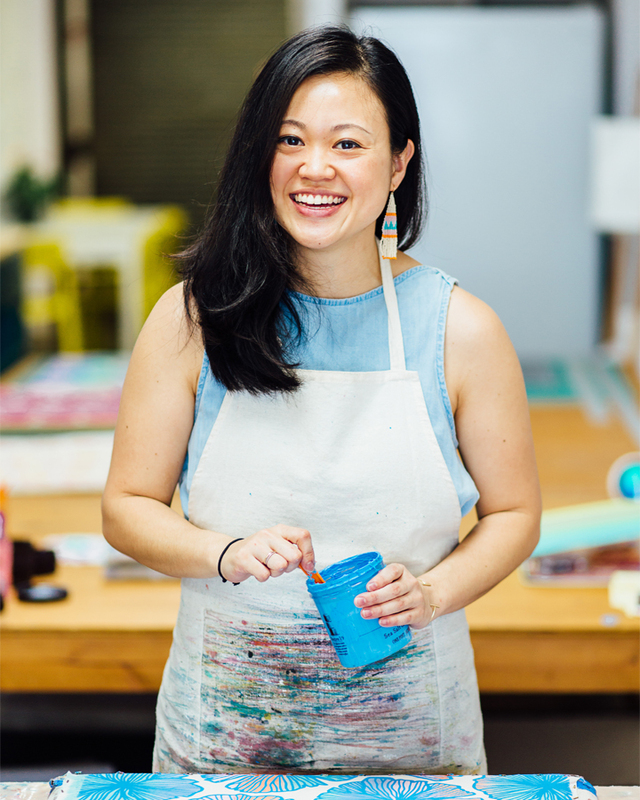 Born and raised in Honolulu, Hawaii, Jana Lam is an artist and designer that creates lifestyle products and accessories for an endless summer. Her signature is style is all about color, movement and fun! Each piece is designed bring you a little piece of love and aloha. JANA LAM the brand was created just months after Jana Lam moved home to Hawaii and became Jana Lam herself. When she and her dad built a screen-printing table for her to continue following her passion of creating hand-made textiles, she unwittingly launched herself into the fashion and accessories business. Since then the workshop has moved from her parents’ garage in Nuuanu to Jana’s seaside home on Paiko Beach in East Oahu, to now a work/retail shop in the up and coming art and design hub of Kakaako in Honolulu. 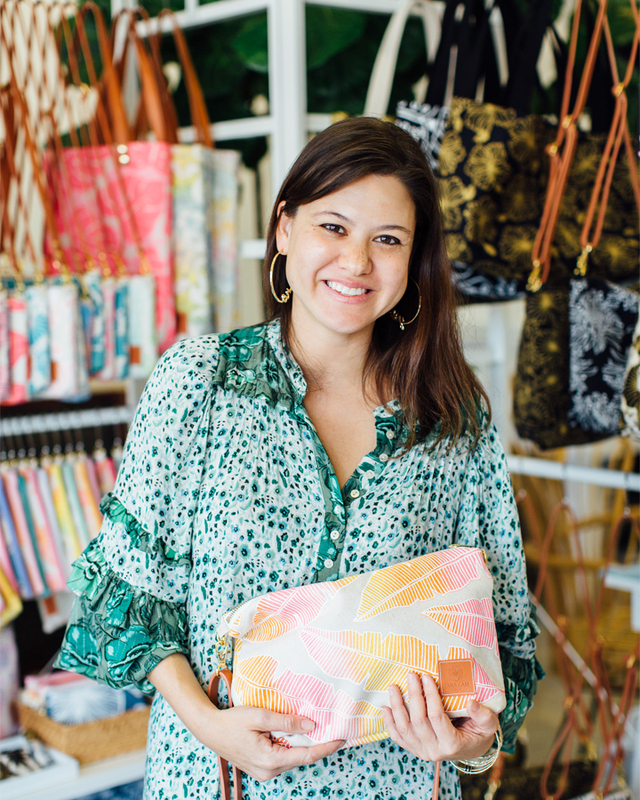 The scenery may have changed but the dream and the method remain the same: to spread her love of all things color and design by sharing her hand-drawn and hand-printed fabric accessories with Hawaii and the world. There are easier ways to go about running a brand, but Jana, alongside her talented team are passionate about designing, collaborating and creating handmade one-of-a-kind pieces of wearable art that are inspired by and celebrate her island home. Inside the studio she is the juggler of all things miscellaneous, always trying to focus on one thing while doing many things at once. Inside the studio she is the screen-printer and color wizard who creates amazing and endless combinations of prints and hues. Inside the studio she is the oil that keeps the engine running, the Gemini we love, who wears a million different hats – from managing and doing actual production to handling the accounting, HR, and product development. Inside the studio she is literally a sewing machine. She is a master technician who has taken our product from good to golden.